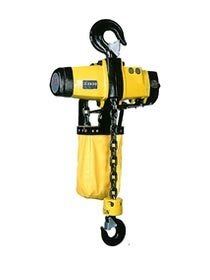 We, as a Supplier, Exporter and Importer, present Endo Air Hoists. Endo Air Hoist is globally no.1 pneumatic operated hoist on small and compact body provides easy handling. Their intricate design and durability set them apart from the rest. On customers’ request, we make the customized specifications available. It is known for its high Speed operations to improve work efficiency, Smooth and step less operations avail for precise works like jig setting, air hoist, air motor realize safe working conditions against the work in the risk of explosion like the chemical factory. Limitation mechanism is applied to EHL series.